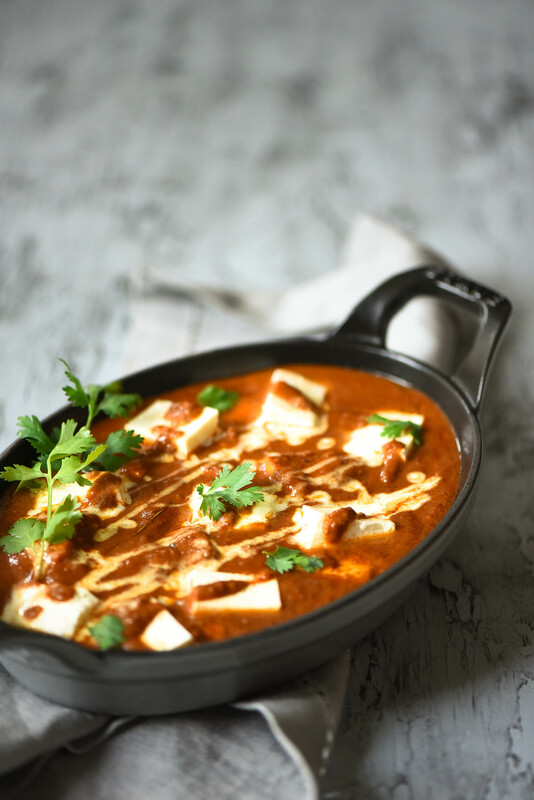 I am sure you lot have had paneer curry before so what makes this one so special? 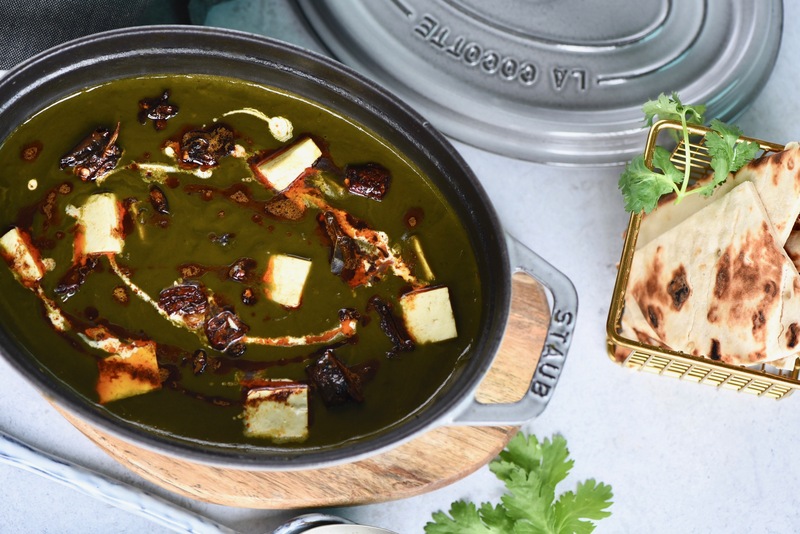 I am glad to explain, this is one of the easiest, nut based and delicious paneer curry which goes well anything. I am not big on eating gluten free everyday or leaving all the grains out of the diet or go vegan but I believe in healthy lifestyle by consuming healthy food. 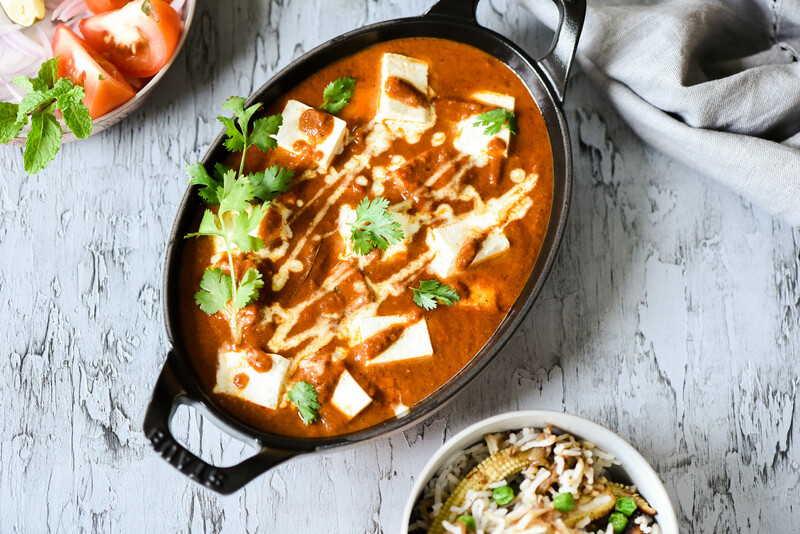 So whilst I was trying to come up with something new and something delicious, I thought of this paneer curry which is tomato and nuts based. 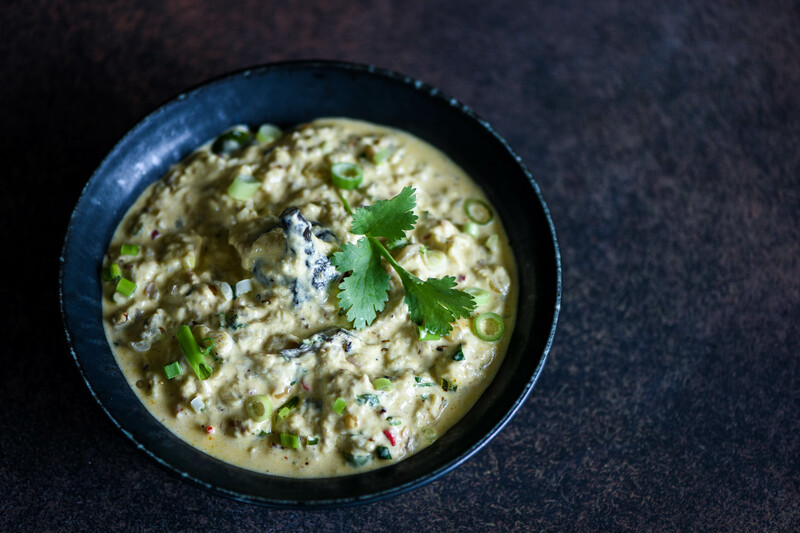 I usually make nut based gravies either with almonds or with cashews but because I wanted to introduce some more good fats in this recipe, I added some pistachios. Let me tell you the texture and consistency of the this gravy was so smooth and silky, I absolutely loved it! I recently served this with my Baby Corn Rice and it was a big hit! It was a great combination. 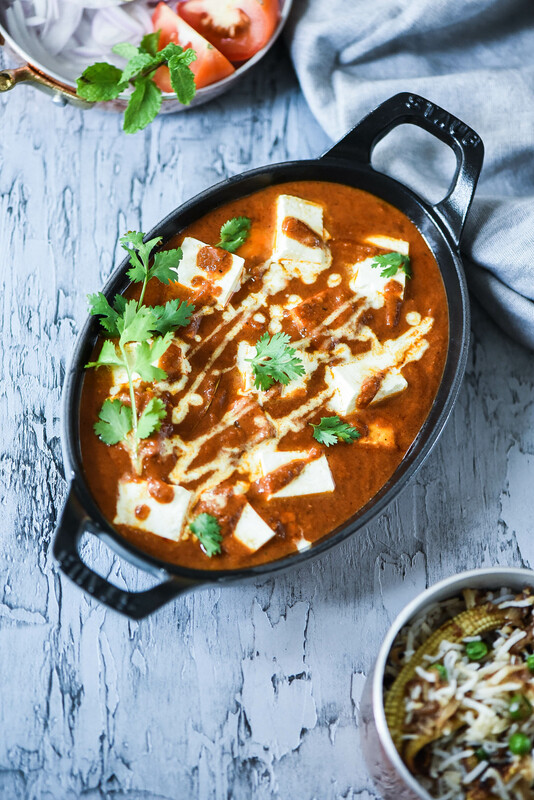 If you want to make this vegan you can replace paneer with tofu and cream with coconut cream. I like to pan fry the tofu in these kind of gravies so it doesn’t break and become all mushy. 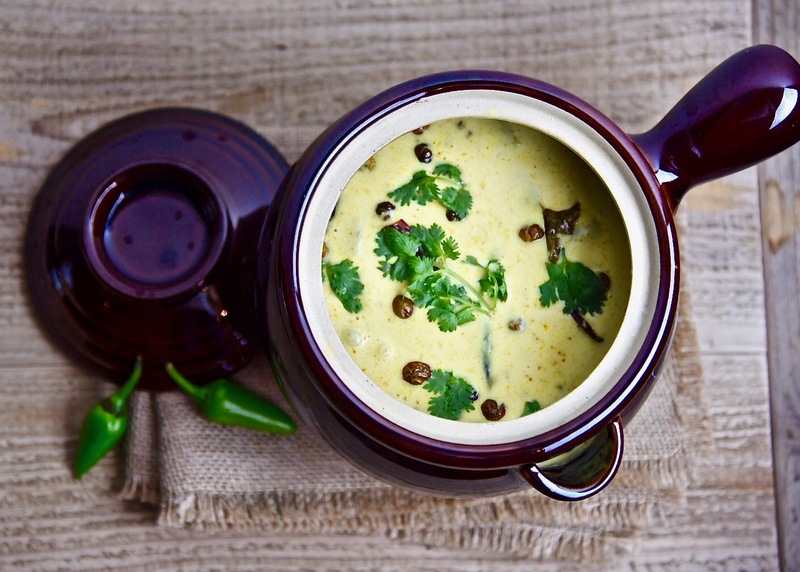 Vegetarian or vegan, do give this recipe a try! You will love it. Heat 1 tbsp mustard oil with whole spices. When hot, add in the onions, ginger, garlic, chillies and nuts. Saute for 5 minutes. Add in the tomato puree and cook for 10 minutes till you see oil on the surface. Add in the spice powder and continue to saute for 5 minutes. When the mixture is cool enough to handle, take the bay leaf out and make a smooth puree. Heat rest of the mustard oil and bay leaf. Add this paste, mix it well. Add the milk and whisk it well, be careful because it splatters a lot. Add in the paneer, garam masala and cook for 5 minutes. Add in the cream and mix well. Bring it to one gentle boil.